Rouge Media has continued accelerated expansion by adding 1000+ colleges in its existing network. Rouge has now become the largest campus media entity in North America. The new colleges added to the Campus network include Rutgers University, UC Berkeley, California State University, Stanford, George Washington University, Arizona State University, Michigan State University and University of Texas. 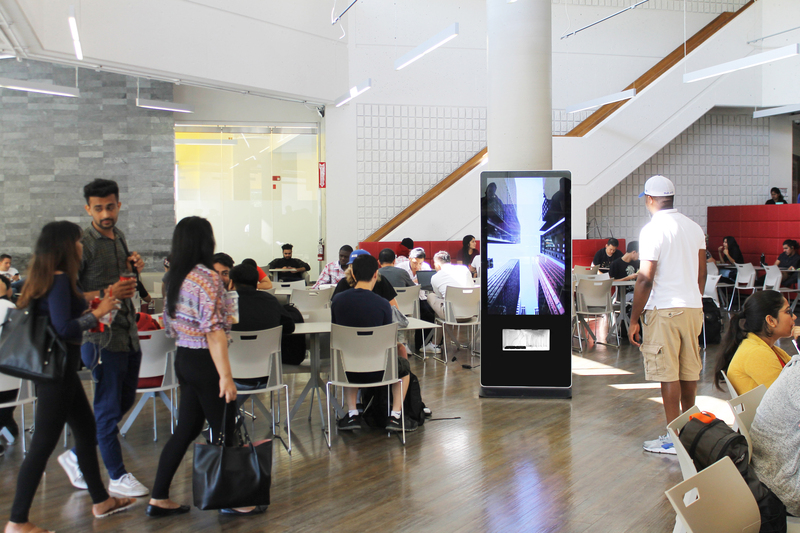 Located in premium, non-academic and high traffic spaces within colleges and universities across USA (and Canada), and have also added a new product – the vertical digital tower. The towers consist of vertical digital screens with HD content and wireless charging pads. The new screens are full HD just like Rouge’s other digital screen products, and have similar full photo and video capabilities. The company offers the colleges a variety of media solutions such as digital videos and dynamic content to reach students. Rouge Media is a leading North American media company connecting brands with millions of consumers on their daily journey out-of-home. With 8200+ touchpoints and 5000+ venues, Rouge brings the largest campus coverage in North America through the Rouge Campus Network, a first of its’s kind Rouge Women’s Network reaching W18-54, a highly targeted Men’s network and an extensive LABS network in 19+ verified restobar venues, together providing high impact advertising solutions for brands to reach their consumers.